Welcome to Vincent Dental in Norcross, GA! Dr. Vincent and the entire team at our Norcross dental practice welcome you to our state-of-the-art office, where we are devoted to your maintaining, enhancing, or restoring the natural health and beauty of your smile! Advanced Technology - We offer comprehensive dental care by our highly skilled and experienced dentist in a dental office that is equipped to provide effective diagnosis, treatment, and comfort. Prevention: We believe a good dental education is the key to keeping smiles healthy. Understanding the importance of preventive care and a proper home oral hygiene routine is the way to establish and maintain ideal dental health. Uncompromising Safety: When it comes to the cleanliness of our office, tools, and practitioners we put your safety first by adhering to strict health guidelines to maintain best practices. Training and Expertise: Our dental team is committed to ongoing continuing education and awareness of emerging dental techniques and technologies. A Positive Experience: We are dedicated to providing patients with personalized oral health care that meets their unique dental needs, with long-term results. Dr. Vincent has been practicing dentistry in Norcross and the Atlanta area for over 15 years. He is a member of the American Dental Association, American Academy of Implant Dentistry, the Academy of Laser Dentistry. A strong believer in educating his patients and keeping them in charge of their dental health, he ensures that they receive current and comprehensive information about available treatment options. Dr. Vincent's friendly and positive attitude combined with his experience and dedication to excellence, make him a popular Norcross dental provider. At Vincent Dental, we value your time. We offer a number of same-day procedures and by taking advantage of our advanced, in-house technology, we can drastically reduce the amount of time needed to complete many of our treatments. Dr. Vincent personally overseas implant-supported dentures, single day crowns, restorations, root canals, guided implant surgery, and more. By using innovative systems like CEREC and Galileos imaging, patients can be confident their renewed smiles are durable and naturally Beautiful. 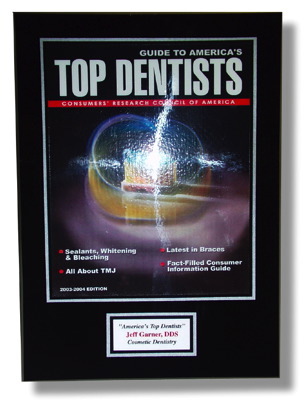 Dr. Vincent Is One Of America's Top Dentist, According to Consumers' Research Council of America! Click HERE to apply with Wells Fargo, financing subject to credit approval, or click HERE to learn about our financing options! Explore more – take a look around our site! You will learn more about Dr. Vincent, our practice, services, dental conditions, treatments, and more. Have a question, or wish to make an appointment? Just contact our Norcross office today and one of our friendly staff members will be happy to help!